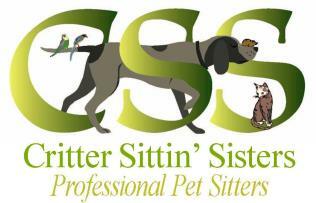 Critter Sittin’ Sisters is currently looking for an experienced part-time pet sitter to assist with in-home pet care. Job duties include: feed, water, administer medication, walk, play, clean up accidents/litter boxes/bird cages, give lots of TLC, and other duties as specified by clients. Must be available for weekends, holidays, & overnight stays. Compensation is based on each visit, mileage reimbursement, and additional pay for some holidays. Our current coverage area includes: Snellville, Lilburn, Grayson, most of Stone Mountain, parts of Loganville, Lawrenceville, Tucker and Lithonia. Must have reliable transportation and live in our coverage area.